Columbus car accident attorney Anthony Castelli has over 30 years of experience representing injury victims. He will focus on recovering maximum compensation for you and your family, taking the stress off of you while you focus on recovering and recuperating. 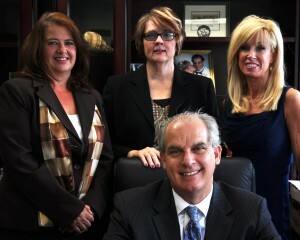 Mr. Castelli and his entire staff are dedicated to client satisfaction. Please, do not hesitate to call and learn more about how we can help you. Anthony’s father was a WWII Navy hero and his grandfather was an immigrant tailor. They taught Anthony to treat everyone from all walks of life with respect and dignity. They instilled in him the need to lend a helping hand to those that needed it most. So Anthony’s career path started out working at the State mental hospital while he worked his way through college. Anthony then went on to be a social worker helping abused and neglected children. That’s where Anthony realized that becoming a lawyer could empower him to right wrongs done to others. Encouraged by his grandmother who worked at the Courthouse, he went on to law school at night while working for his mentor personal injury trial lawyer Walter Beall. Anthony carried Walt’s bag, did investigations and watched his mentor ply his trade in and out of the courtroom. Anthony learned that hard work was the ingediant needed to succeed along with his compassion for others and a competitive nature. Listed as a Ohio Super Lawyer in personal injury by super lawyers magazine and given the higest marks by peer review groups such as AVVO and Matindale Hubbel, Anthony is also rated A+ by the Better Business Bureau. Please read what others have said about Anthony and some of the results he has attained. Anthony Castelli’s style of advocacy has been describe as “fanatical.” He is dedicated to fighting for the best compensation possible for his clients. Learn how his 5 fundamentals of uncompromising advocacy can help you get better results in your case. When you become our client, you become part of our family. We believe that every client deserves to be treated with respect and courtesy and should receive the highest level of care and attention. We understand that when you are injured, you need to focus on getting well not on attending meetings. Mr. Castelli offers flexible hours for office appointments, including evenings and Saturdays. If travel is too difficult for you, he can meet with you in your home, hospital, nursing or convalescent facility. When you hire our law firm, we begin collecting evidence immediately and will work with the appropriate experts and investigators to maximize your claim. With over 30 years of experience handling car accidents, Mr. Castelli understands the multiple theories of law on which you claim may be based. He will explore all possible sources of compensation for you. Although most cases settle out of court, Mr. Castelli is always prepared to take your case to trial. Mr. Castelli has handled thousands of injury cases, recovering millions of dollars on behalf of his clients. Mr. Castelli has experience with difficult aspects of car accident cases including those involving uninsured or underinsured motorists, serious and catastrophic injuries, and wrongful death.